Last April, I wrote a blog piece about social housing waitlists for people with disabilities based on the 2017 Social Housing Report. The 2018 Summary of Social Housing was released this week. Today’s blog piece is basically a copy of the one from April, but with the updated figures for 2018. May those who can affect positive change in this area listen. Why are so many people with disabilities waiting for social housing? Why are we leaving society’s most vulnerable to languish on these lists? 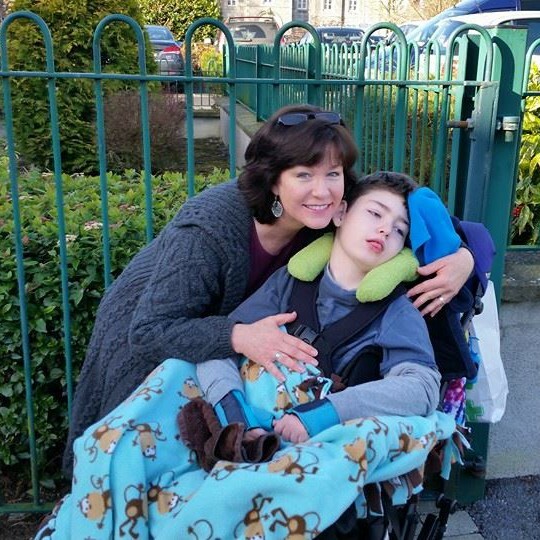 Because of my son, Brendan Bjorn, who is severely disabled with profound care needs, I am on the disability-modified housing wait list, but let me be clear right from the start of this piece, my family is NOT included in the statistics I am about to discuss. Why not? Because if a family is availing of HAP, as just one example, the Department of Housing does NOT include them in their housing figures because they are then considered to have their housing need met. There is also an Exceptional Medical Needs category, not listed with Disability, and that figure is 1,063. There are 4,037 people awaiting suitable social housing who have Enduring Physical, Sensory, Mental Health or Intellectual Issues. 12 Counties saw an increase in the amount of households on the disability social housing waitlists. Those counties are: Carlow, Donegal, Fingal, Kildare, Kilkenny, Laois, Limerick City/County, Longford, Meath, Monaghan, South Dublin and Westmeath. There are 1,696 people with Physical Disability awaiting suitable, modified social housing. I repeat this number from above because their requirements are generally not met by the typical social housing unit which is a semi-detached house where the bedrooms and bathroom are all upstairs. Often, what is required is special housing such as modified bungalows which must be built or acquired by the county council. This is simply not happening, at least not anywhere near the rate required. The sad thing is that the number of people needing suitably modified bungalows based on these figures is really not that large and the list could be cleared pretty quickly with a bit of vision and determination.